We are proud to announce that we have been awarded the “North-Rhine Westphalia State Prize for Food” by the Ministry for Environment, Agriculture, Conservation and Consumer Protection of the State of North Rhine-Westphalia. This prize not only stands for the commitment in the area of food and nutrition, as well as the examination of the challenges being faced by society, but it also stands for sustainability and environmental management. Besides the quality and taste of the food, further judging criteria taken into account included the provision of apprenticeships and the payment of wages in accordance with the current tariff agreements. 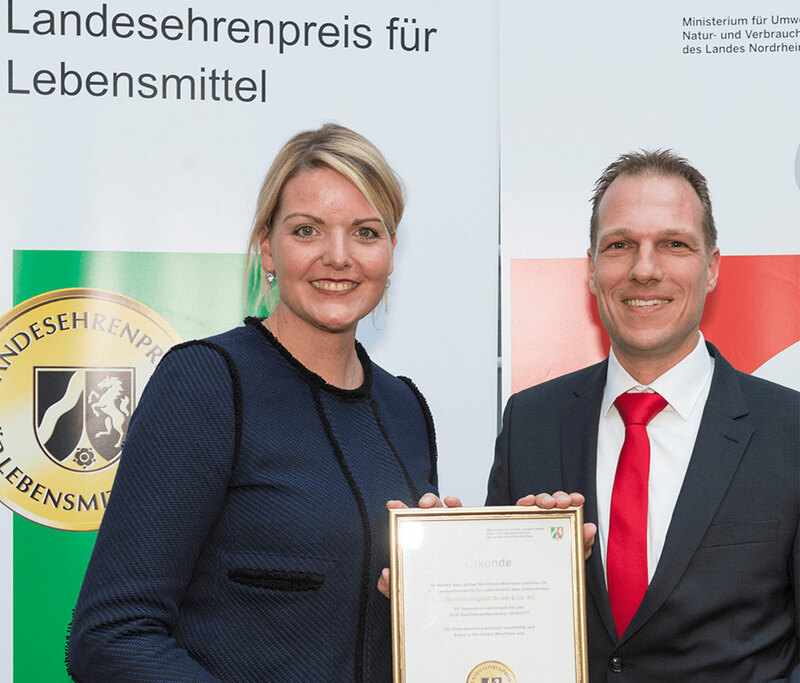 The precondition to receive the State Prize is having received the Gold Award from the German Agricultural Society (DLG), something we have already received this year. The Minister of Agriculture and Consumer Protection Christina Schulze Föcking emphasised during the awards ceremony that the agriculture and food industry in North Rhine-Westphalia is well-positioned overall. We are of course delighted that we have been able to make a very significant contribution to this, and that this contribution has been honoured with us receiving this award! 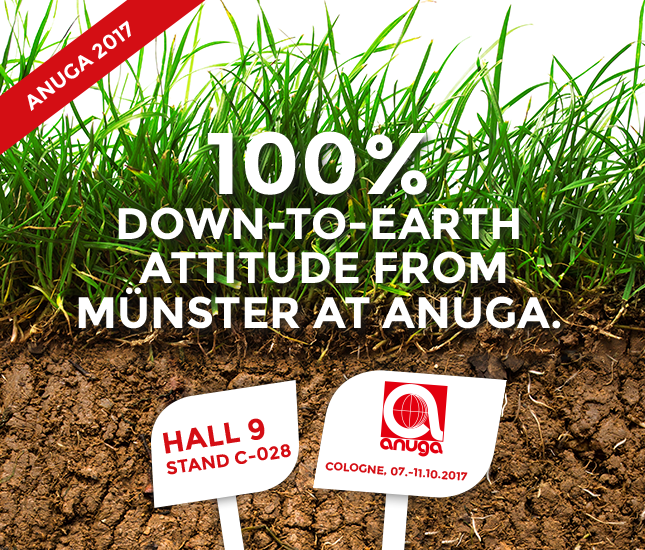 Anuga 2017 was a great success for our company. We were able to wow many visitors with our products, lead interesting talks and establish numerous new contacts. In addition, we were able to take away interesting ideas and approaches from the fair and are looking forward to taking opportunities and using new ideas in the future. We also had the chance to meet many of our customers personally which allowed us to further maintain close contact with them. We are currently processing all impressions and information we took away from the fair and we would be delighted to welcome you back next time! Get to know us and our products 100%! Visit us between the 7th and 11th of October at ANUGA, the leading international trade fair for the food and drink industry in Cologne. 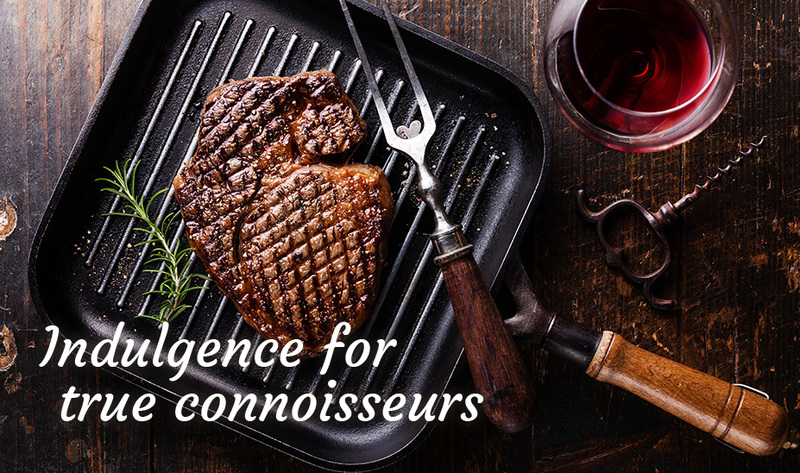 Experience our business up-close and get to know all about our products with all the values and traditions in the sphere of EC slaughter houses and meat-cutting plants. Also look forward to exciting and informative discussions about our company and our methods, because with us both you and the calves get a professional service right from the beginning. 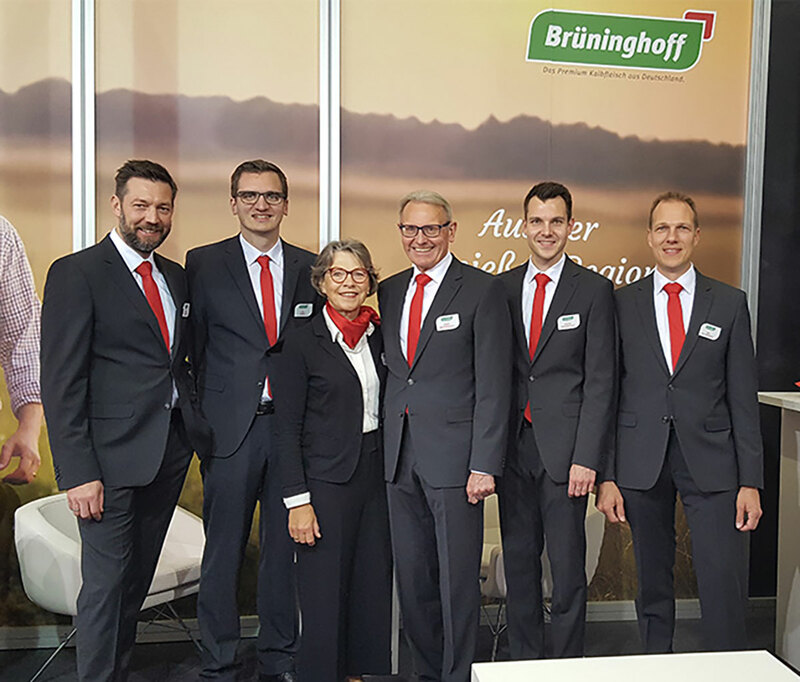 Decide for yourself about Brüninghoff quality and visit us in hall 09.1 Stand C-028. Brüninghoff is one of the leading producers and suppliers for veal in Germany and has build up a reputation throughout Europe.